We are required, by law, to record the attendance of every child on roll and to show who is absent or late. Figures for attendance and for authorised absence and unauthorised absence have to be sent to Wirral Borough Council (Local Authority) and the Department for Education (UK Government). It is better to be late than not to arrive at all. However, when children arrive late it can make things difficult for everyone. The teacher has to stop and ensure a newcomer is up-to-speed and settle them in, therefore the rest of the class is disrupted. The latecomer misses the first part of the lesson and will miss out on important learning. Children also feel uncomfortable and embarrassed by being late. You can demonstrate your commitment to your child’s education by not taking holidays during term time. Any child who is absent from school due to a holiday will miss out on important learning and will fall behind with their school work. In each School Year there are only a maximum of 190 statutory school days – this allows plenty of time for holidays to be arranged outside term time. Holidays taken during term time will be categorised as an unauthorized absence. Establish a good routine in the mornings and evenings so your child is prepared for the school day ahead. Make sure your child goes to school regularly and follows the school rules. 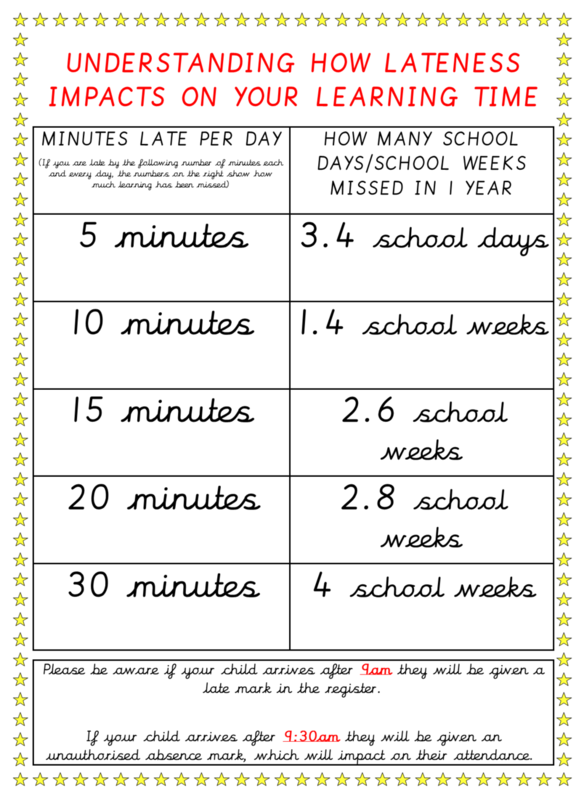 Ensure your child arrives at school on time – not late. Arrange dental and medical appointments outside school hours when possible. Always inform the school if your child is absent due to illness – this should be followed up with a written note when your child returns to school. Take family holidays outside term time. Talk to your child about school and take an interest in their school work (including homework). Discuss any problems or difficulties with the school – staff are there to help and will be supportive. 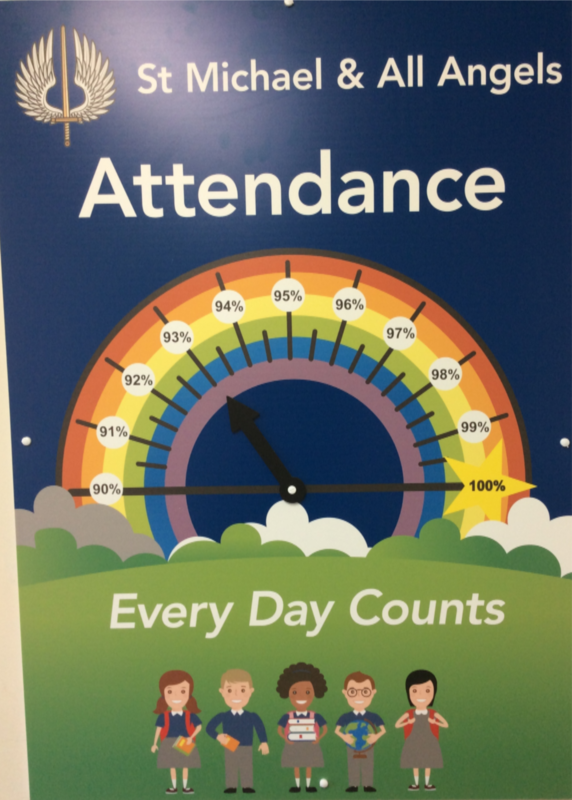 EVERY WEEK IN SCHOOL WE CELEBRATE EXCELLENT ATTENDANCE IN ASSEMBLY. IF YOU ARE IN EVERY WEEK YOU COULD WIN A PRIZE!